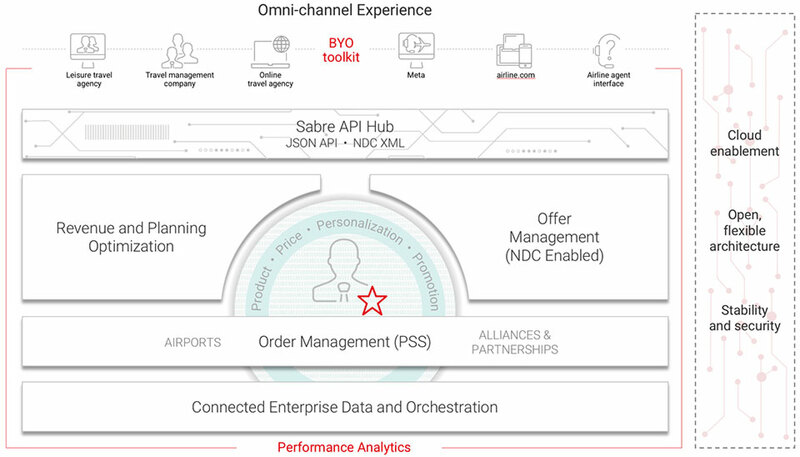 Sabre Commercial Platform is the only platform in the industry that enables end-to-end personalized retailing and empowers airlines to successfully retail, distribute and fulfill across all customer touchpoints. It meets airlines where they are and takes them where they want to go through flexible, open and intelligent technology within our Sabre AirVision and SabreSonic suites. Flexible technology gives you the freedom to build business practices and workflows that meet your business needs without being boxed in by a single provider. Flexibility enables you to drive differentiated experiences throughout all channels and adjust your product offerings on your own terms. Open technology is a requirement for technology partners that want to enable airlines to quickly and efficiently deploy innovation. A microservices architecture is one example of openness because it empowers unique business strategies and gives you the control to uniquely configure, extend and differentiate how you positions your ecosystem of technology and processes. You can decide how you want to develop and deploy innovation and deliver on your own unique strategies. You don’t have to rely on a single provider to deliver all of its innovation because microservices architecture gives you the flexiility to take a community-based, in-house or third-party approach. Intelligent technology powers you to drive decision accuracy and personalization in a way most airlines aren’t capitalizing on today. For example, most airlines charge a standard baggage fee regardless of the trip length, fare price or customer profile, and there is no rhyme or reason behind it. Imagine if your airline could determine exactly how much to charge for baggage by customer segment because you have machine-learning algorithms in place that have considered your customers’ willingness to pay.